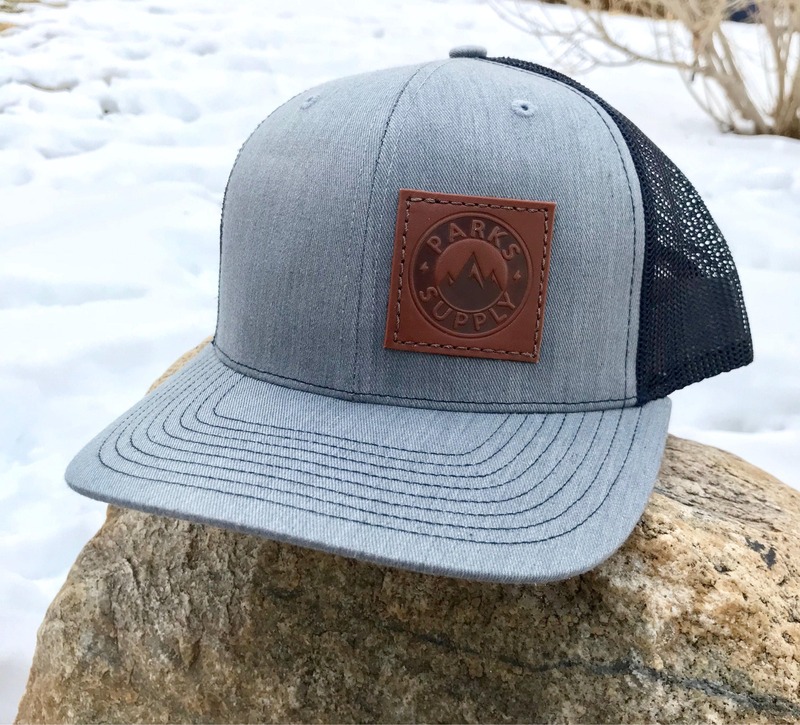 Represent the Parks Supply brand with this sweet trucker hat with leather patch. Get outside, and look good doing it! Hat is gray with navy mesh.